Each arrangement is a bespoke design just for you. We use beautiful glass, metal, and ceramic vessels for your arrangement. 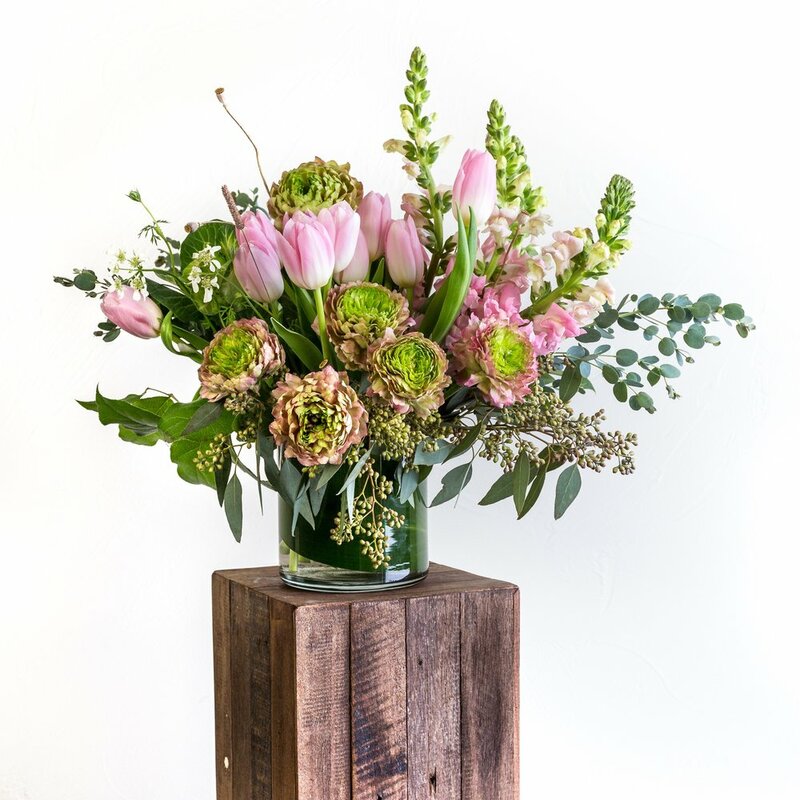 Actual flowers may vary as we only work with the most fresh and seasonal blooms available. Please inquire about vase options when you place your order. All orders can be picked-up in store. We offer in-town delivery with charges starting at $12.00. For Big sky and throughout the Gallatin Valley , we can provide other delivery options (prices may be subject to change).